As an independent and self-directed investor, you acknowledge that you, alone, shall be responsible for determining the suitability of your investment choices and investment strategies, and you understand that The Forex Geek Website is a review site only based on individual opinion not fact. The Forex Geek shall assume no responsibility for investment choices or determinations. You shall not hold The Forex Geek or any of its team, employees or affiliates liable for investment decisions. The team cannot advise you or comment concerning the nature, risk or suitability of any trade, transaction or investment strategy. You also recognize that The Forex Geek does not give any legal or tax advice. The Forex Geek team are not liable for any damages or loss, including but not limited to, any loss of profit, which may arise indirectly or directly from the use of The Forex Geek Website or affiliated products. Additionally, you agree that no fiduciary relationship is formed and no fiduciary duty is owed to either party of this agreement, by virtue of your use. You represent that you are of the age of majority as defined by the laws of the state of your home of record in order to enter into this agreement and be bound thereby. The Forex Geek Website is not intended to give financial or investment advice or advice of any kind. It is simply for entertainment purposes and based on individual opinion not fact. The Forex Geek Website is for your personal use only. 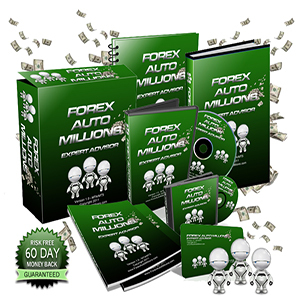 You shall not distribute, copy, reproduce, exchange, modify, sell, or transmit anything from this site and The Forex Geek software and manuals. All materials on www.TheForexGeek.com, including but not limited to images, software and text, are protected by copyright under U.S. copyright law, international conventions, and other copyright laws. You shall not use the materials, except as specified herein. You agree to follow the instructions on www.TheForexGeek.com, limiting the use of the materials. Any unauthorized use of the materials on www.TheForexGeek.com may violate copyright laws, trademark laws, the laws of privacy and publicity, and civil and criminal statutes. The Forex Geek reserves the right to refuse any purchase at its sole discretion. You agree to pay the applicable charges and taxes that may apply at the time services are rendered to your purchase. The Forex Geek further reserves the right to change its charges any time by posting a modified schedule of pricing and rates on The Forex Geek website. Charges – All charges are refundable during the first 60 days from the date of purchase. Following 60 days from the date of purchase, no refunds will be made. You may need to contact the purchase provider regarding any requests for refunds within 60 days of the date of your purchase. The Forex Geek team makes no representation or warranty regarding its compliance with local laws in foreign jurisdictions, or regarding the appropriateness of the websites content or its compliance with such local laws. You understand that The Forex Geek site is the only means of accessing The Forex Geek Free Robot. You agree that The Forex Geek shall not be liable for any losses or damages you incur as a result of the unavailability of The Forex Geek website from foreign countries or any losses from using The Forex Geek Free Robot or The Forex Geek Robot. The Forex Geek reserves the right to report to consumer and securities credit reporting agencies any debit balance or negative credit information pertaining to any The Forex Geek purchase. 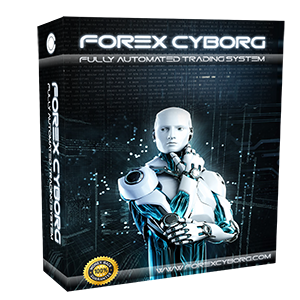 The Forex Geek team further reserves the right to reject a The Forex Geek Robot purchase for any reason. The Forex Geek may terminate any or all of the services rendered under this agreement at any time and for any reason. You agree to reimburse The Forex Geek for any collection costs relating to any unsecured debit balance in your purchase, including attorney’s fees, court costs, arbitration expenses, and interest. In cases of fraud or theft by you, acting alone or in collaboration with others, including situations in which you have allowed third parties to use your purchase of The Forex Geek Robot in any such manner, The Forex Geek shall assess against you, in addition to all other fees, damages and penalties to which it may be entitled, a fee per forged, faked, fictitious, stolen or otherwise unauthorized item or transfer. This fee shall constitute liquidated damages to compensate The Forex Geek for the time and effort of The Forex Geek team in rectifying the said conduct. You agree that The Forex Geek will not be liable to you or to third parties for losses incurred directly or indirectly by causes reasonably beyond its control, including but not limited to, government restrictions, natural disasters, severe weather conditions, wars, strikes, terrorist attacks, exchange or market rulings, interruptions of data processing services or communications, disruptions in orderly trading on any market or exchange, unauthorized access or operator errors. You agree that The Forex Geek will not be liable to you for any losses or damages incurred by you (including lost profits, trading losses and similar damages) during periods of market volatility, peak demand, systems upgrades, maintenance or for any other reasons. All parties to this Agreement are giving up the right to sue each other in court, including the right to a trial by jury, except as provided by the rules of the arbitration forum in which a claim is filed. Arbitration awards are generally final and binding; a party’s ability to have a court reverse or modify an arbitration award is very limited. The ability of the parties to obtain documents, witness statements and other discovery is generally more limited in arbitration than in court proceedings. The arbitrators do not have to explain the reason(s) for their award unless, in an eligible case, a joint request for an explained decision has been submitted by all parties to the panel at least 20 days prior to the first scheduled hearing date. The panel of arbitrators may include a minority of arbitrators who were or are affiliated with the securities industry. The rules of some arbitration forums may impose time limits for bringing a claim in arbitration. In some cases, a claim that is ineligible for arbitration may be brought in court. The rules of the arbitration forum in which the claim is filed, and any amendments thereto, shall be incorporated into this Agreement. Subject to the limited exceptions described below, you agree to submit to arbitration any dispute between you and The Forex Geek and/or any of its members, officers, directors, employees. Any arbitration under this agreement will be conducted under the arbitration rules of the financial industry regulatory authority. Arbitration may be initiated by either of us serving written notice on the other. The arbitrators’ ruling will be final and judgment on it may be entered in any court of competent jurisdiction. The Forex Geek reserves the right to pursue legal action against you through the state and federal courts or other appropriate jurisdiction in the event The Forex Geek determines that you have committed fraud or other crimes against The Forex Geek and/or third parties involving the funding of, transactions in, or withdrawals from your purchase(s) with The Forex Geek. In such cases, you shall be deemed by this agreement to have accepted. This agreement will pass to the benefit of The Forex Geek team successors, assigns and agents. 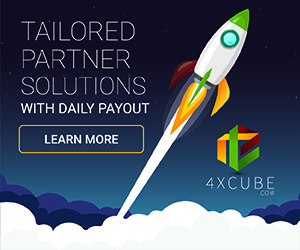 The Forex Geek may assign its rights and duties under this agreement to any of its successors, subsidiaries or affiliates without giving you any prior notice or to any other entity on prior written notice to you. In addition, you agree that this agreement and all terms hereof, will be binding on your heirs executors, administrators and personal representatives and any assigns permitted by The Forex Geek. To the extent permitted by law, The Forex Geek shall not be liable for any expenses, losses, damages, liabilities, demands, charges and claims of any kind or nature whatsoever (including without limitation any legal expenses and costs and expenses relating to investigating or defending any demands, charges and claims) (“Losses”) by or with respect to the purchase or use of The Forex Geek website. The Forex Geek will not be liable for any indirect, special, incidental or consequential damages or other losses (regardless of whether such damages or other losses were reasonably foreseeable). The Forex Geek shall have no liability for and you agree to reimburse, indemnify and hold The Forex Geek, its affiliates and their partners, directors, officers and employees and any person controlled by or controlling The Forex Geek harmless from all expenses (including legal expenses and reasonable attorney’s fees), Losses or damages that result from: (a) your or your agents’ misrepresentation, act or omission or alleged misrepresentation, act or omission, (b) The Forex Geek following your or your agent’s directions or failing to follow your or their unlawful or unreasonable directions, (c) any of your actions or the actions of your previous advisers or Custodian, (d) the failure by any person not controlled by The Forex Geek to perform any obligations to you, and (e) your failure to provide accurate information on your The Forex Geek purchase application or to update that information as required (f) any of your actions conducted based on the content contained on The Forex Geek Website (www.TheForexGeek.com). All information on The Forex Geek website is for educational purposes only and is not intended to provide financial advice. Any statements about profits or income, expressed or implied, do not represent a guarantee. 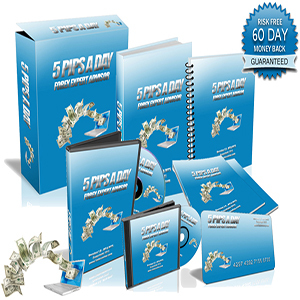 Your actual trading may result in losses as no trading system is guaranteed. You accept full responsibilities for your actions, trades, profit or loss, and agree to hold The Forex Geek and any authorized distributors of this information harmless in any and all ways.